You want to see the situation of your assets and liabilities. Print the balance sheet or export it in pdf or Excel. Or jump directly to the Balance sheet troubleshoot. 1) Preview the balance sheet. Date: The date of the balance sheet. It is possible to look at the situation of a balance sheet in the past. All bookings until that date are included in the report. “Preview” button: Load the information in the document below. When you arrive in the page, the numbers are from today. Show empty accounts: If the box is ticked, all accounts are shown. If not, only account which are not equal to 0.- are shown. This is particularly interesting if you don’t want to have a very long balance sheet. The balance sheet: Display of the balance sheet. 2) Print the balance sheet or export it in pdf or Excel. Print the balance sheet: Right click in the balance sheet and chose “Print”. Use the normal browser function to print the balance sheet. Export the balance sheet in pdf: Right click in the balance sheet and chose “Print”. 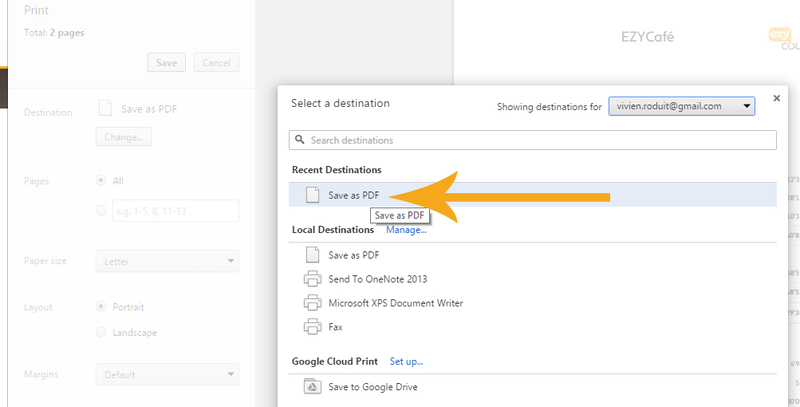 Then choose “Save as pdf” instead of your printer. Select the whole Balance sheet. Copy the balance sheet and paste it in an empty Excel sheet. 3) Edit the balance sheet. Sheet design: Select the design you want to use to see the balance sheet. “Standard” is the proposed design from EZYcount. “Edit” button: Open the edit menu. “Delete” button: Delete the design. You need to confirm the deletion. The “standard” design cannot be deleted. Once the edit menu is open, you have several possibilities. The changes are shown directly in the balance sheet below. You need to “Save” to keep the changes. Logo: Choose to have the logo on the top right or top left of the balance sheet. Name: the name of the design. General font: Choose the font for all fields on the balance sheet. Categories: Change the font and size of the categories or make them bold or underline by clicking on the pen. Choose to hide the top line of the categories by selecting “after”. Accounts: Change the font and size of the accounts or make it bold or underline by clicking on the pen. “Save” and “Cancel” buttons: Save the changes done to the design or cancel the changes done to the design. Company’s name: Design your company’s name. Change the font and size or make it bold or underline. Title: Change the design of the title. Change the font and size or make it bold or underline. “Show/Hide details” and “page break” buttons: Hide the accounts inside a category. When printed, only the total of the category will be shown. Add a page break for print by clicking on the “page break” button. The page break is added directly at the end of the category. This means that after the category, a new page will start. Don’t forget to save your changes by clicking on “Save” once you are done with the changes. Why are there only four different fonts to choose from? The fonts need to be installed locally on your computer to be available on EZYcount. We are currently looking on a way to increase the list of fonts.